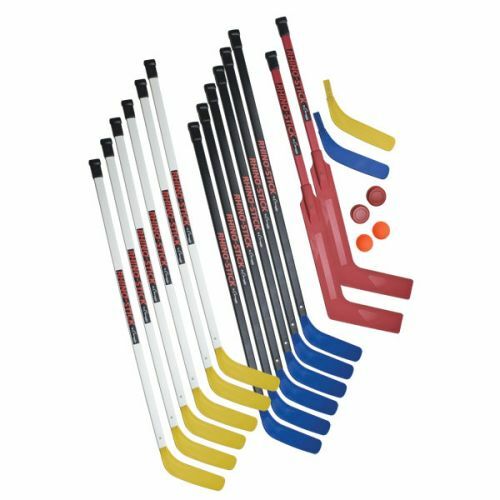 The Champion Sports Rhino® Stick Senior Hockey Set includes everything you need to start up a game of street or floor hockey. Featuring durable yet lightweight ABS plastic shafts, the set is designed with polyethylene blades that provide balance, control, and safety. The longer, high impact 47" sticks supply the feel and power for a more mature player. This set includes twelve sticks, two goalie sticks, two pucks, two no-bounce balls, and two extra replacement blades.